Kohls.com: Playskool Heroes Blazeasaurus, Only $48 – Reg. $59! Don’t miss the Toy Event at Kohl’s! Now through 10/21, a great selection of toys are on sale that also qualify for an extra 15% discount at checkout. It gets better–Kohl’s cardholders will receive free shipping on any purchase with code MVCFREEOCT. 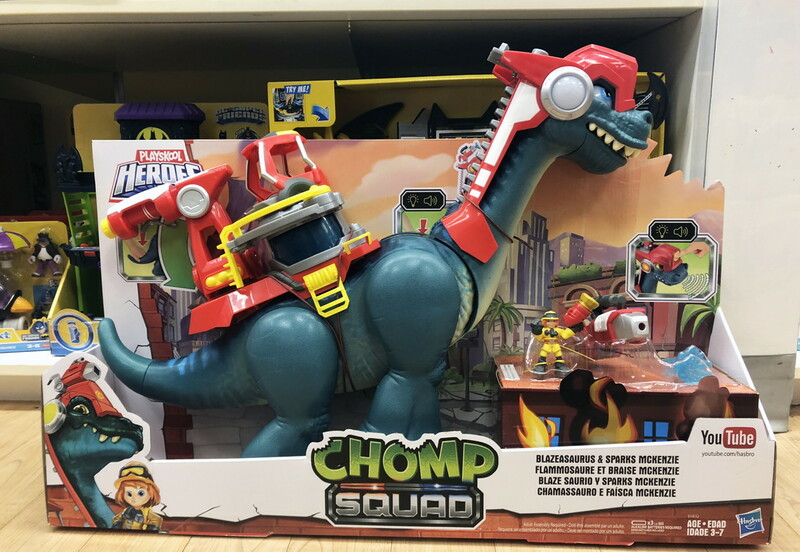 We spotted the Playskool Heroes Chomp Squad Blazeasaurus and Sparks McKenzie by Hasbro on sale for $56.46. After the discount, pay just $47.99. Please note that special offers and coupons do not apply to toy purchases. Up Next: The Body Shop Body Butter, Only $12 Shipped (Reg. $21)! The post Kohls.com: Playskool Heroes Blazeasaurus, Only $48 – Reg. $59! appeared first on The Krazy Coupon Lady.